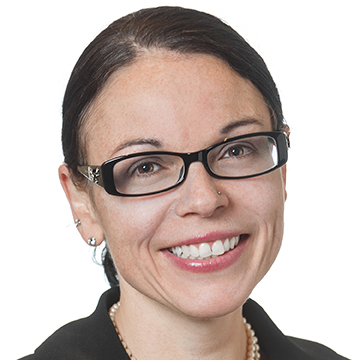 The Presidential Leadership Scholars (PLS) program announced that Melissa Simon, MD, the director of IPHAM's Center for Health Equity Transformation, has been selected as one of the 60 Scholars chosen for the program’s fifth annual class. PLS serves as a catalyst for a diverse network of leaders brought together to collaborate and make a difference in the world as they learn about leadership through the lens of the presidential experiences of George W. Bush, Bill Clinton, George H.W. Bush, and Lyndon B. Johnson. The fifth class was selected after a rigorous application and review process. Scholars were selected based on their leadership growth potential and their personal leadership projects aimed at improving civic engagement or social good by addressing a problem or need in their community, the country, or the world. Over the course of several months, Scholars will travel to each participating presidential center to learn from former presidents, key former administration officials, business and civic leaders, and leading academics. They will study and put into practice varying approaches to leadership and exchange ideas to help strengthen their impact in their communities. The program kicks off in Washington, D.C. on February 5. The latest class joins an active network of 240 Scholars who are applying lessons learned through the program to make a difference in the U.S. and around the world. Examples of these Scholar-led efforts include providing employment and mentorship to veterans, helping developing nations access safe anesthesia services for effective surgical care, empowering women with economic opportunity through clean energy in Africa, and deploying much needed resources in the wake of natural disasters. Since the program began in 2015, Scholars have consistently reported remarkable growth in skills, responsibilities, and opportunities for impact. For example, 95 percent of Scholars reported their sense of confidence or purpose as a leader changed since beginning PLS, and 68 percent of Scholars reported new responsibilities or a role change in their work or career since beginning PLS. Eugene Yi, Co-Founder and President, Cortico, Boston, Mass.